Do you spend most of your time scrapping the photos of others?? Don't forget to every once in a while scrap your story! I was lucky enough to receive the Primrose Misc Me binder, journal pages and recipe contents. I knew right away what I wanted to do with this collection. I have a ton of photos of me when I a child - great black and white ones from WAY back when! I thought what better way to keep them safe than to do a book of me. Misc Me is just perfect for this task. 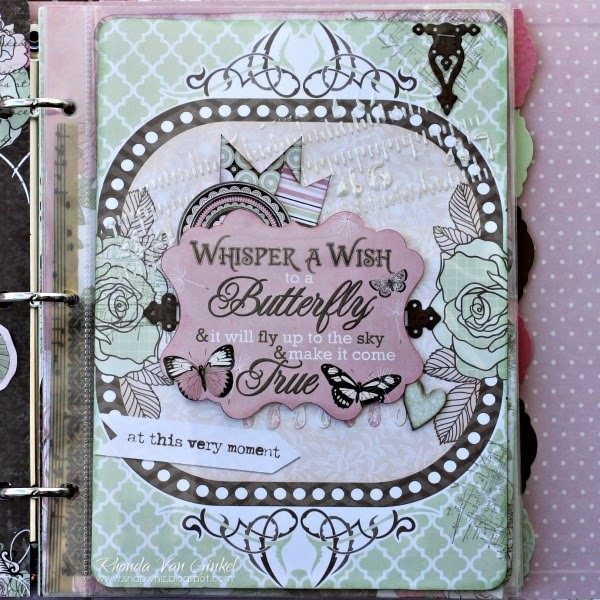 I've combined the journal pages, recipe contents and the Primrose Collection papers and embellishments on this project. 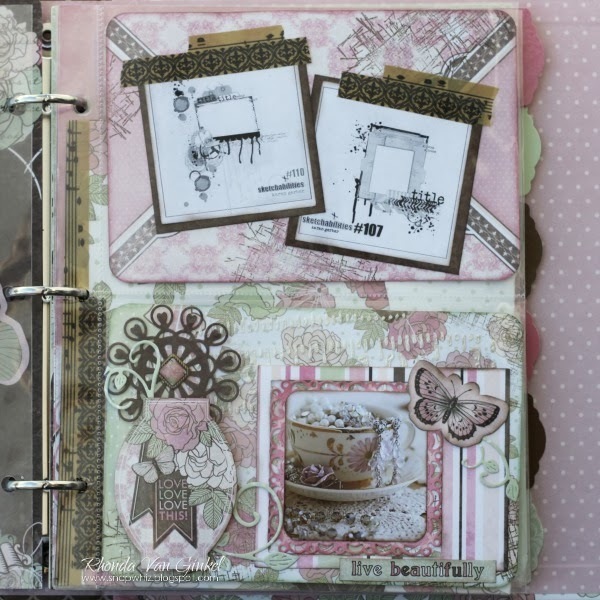 I layered much of the Primrose collection along with the recipe page. I simply cut the recipe card apart and used it as a layer. I love how easy this is. 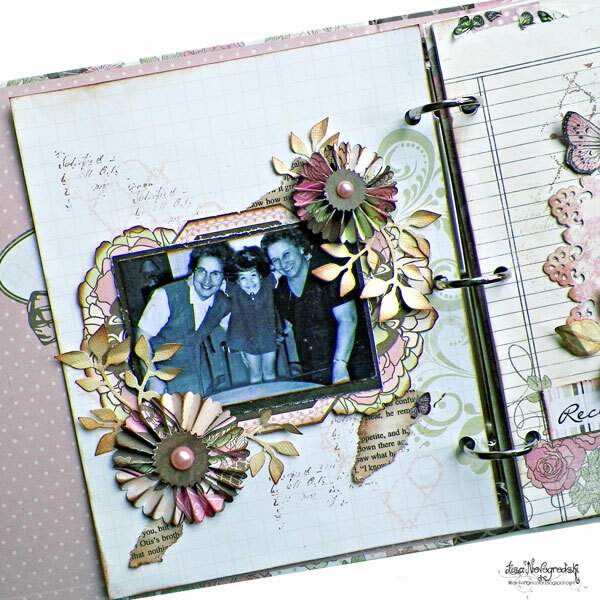 I can create a beautiful shabby page in a smaller format. I also love the journal pages as a background. 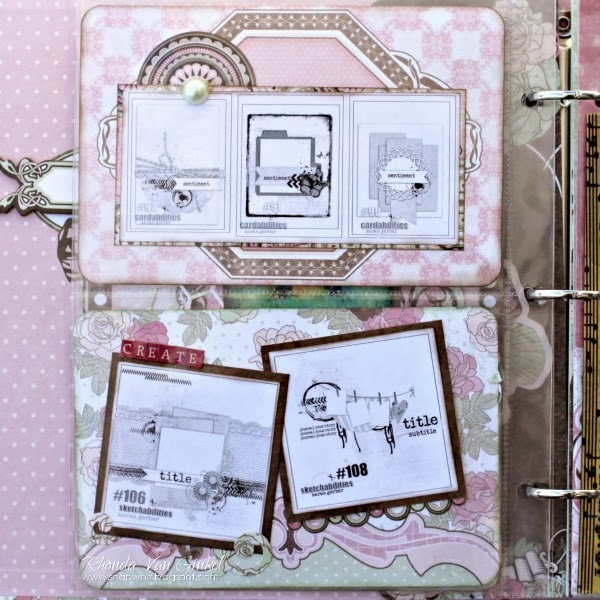 I can journal on the front or back or use the Misc Me cards. You will see more of that later. 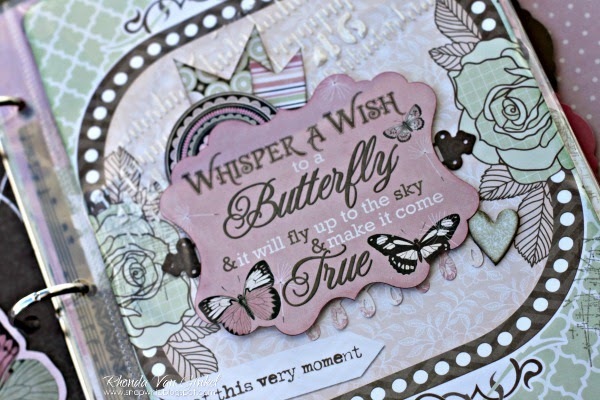 This page has many layers and die cuts with inked edges. I have used a photo of me as a baby with my Godmother. Don't you just love the pink and green color combo of Primrose? Here I used the recipe page. I love the diecut shape! This is a photo of my beloved grandfather. I used to love his crew cut. I got a big kick out of it! Little close up shot of that one! Another close up of the detailing. Besides adding photos to my "Book Of Me" I plan to add things about myself growing up. The Misc Me collection includes lots of pockets and folders so they are perfect for tucking in memories from your childhood. Take a peek at my blog for the rest of my pages! Can you guess what my favorite TV shows were? When I received the Primrose Misc Me products, I was so excited to just open up all of the components and look at them. It's a serious feast for the eyes, this collection is just beautifully done! Another reason I was thrilled is that as a Mom of two young boys I scrap a lot of boy themed projects. I decided this was going to be my treat for me! I decided to create an inspiration book for myself. The Misc Me products are wonderful in that there are pockets to easily tuck all kinds of things into and really make it easy to create. 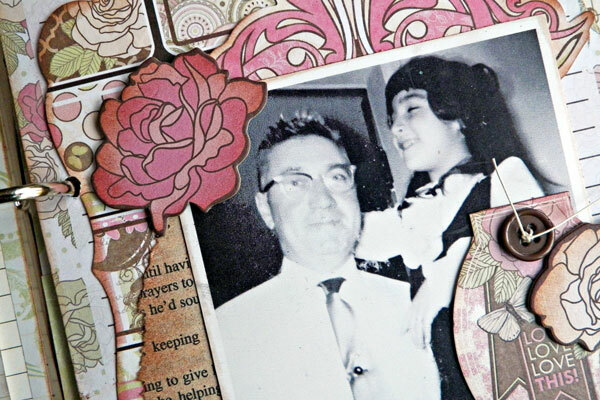 To begin, I selected some images that really inspired me or reminded me of strong memories from my family. This page is interactive, the tag slides out from under the quote to the right. 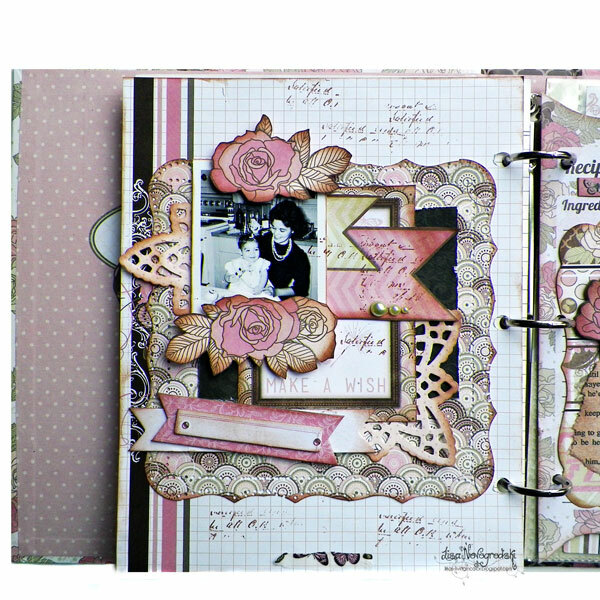 I added a bit of Washi Tape to give a little vintage flair to the book. 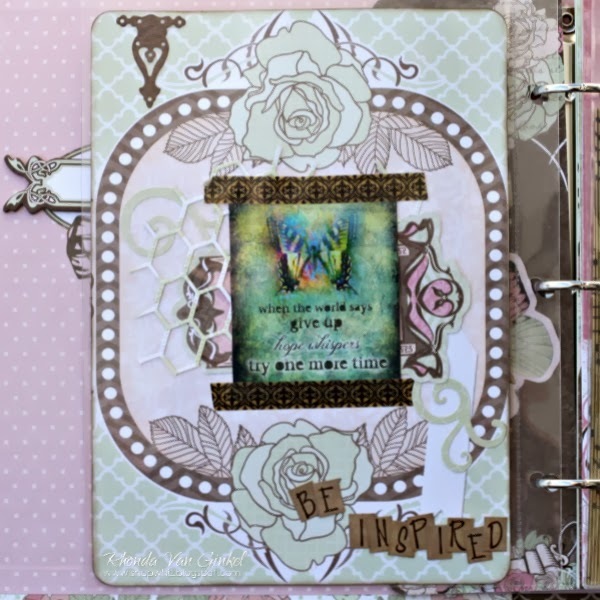 I used our Stained Textures Stamps on my Journal Pack Cards and a bit of embossing paste for texture that wasn't too bulky. What's a creative inspiration book without a few sketches? I had to add a few in the mix! 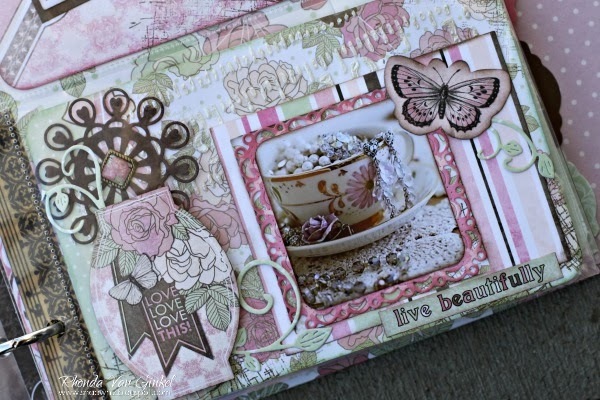 There are so many uses for this beautiful collection! 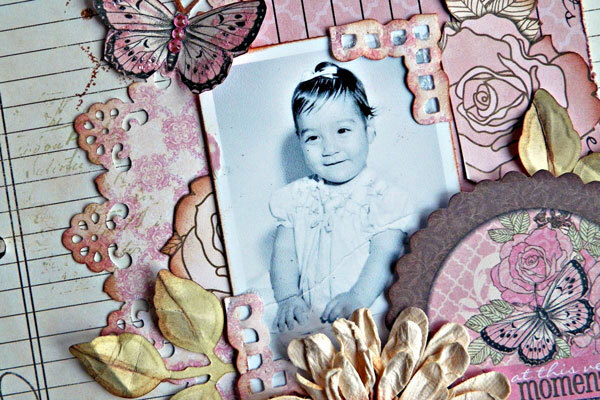 Please share yours with us on the BoBunny Facebook Wall, we would love to see what you create! Both of these albums are just STUNNING to say the least!! 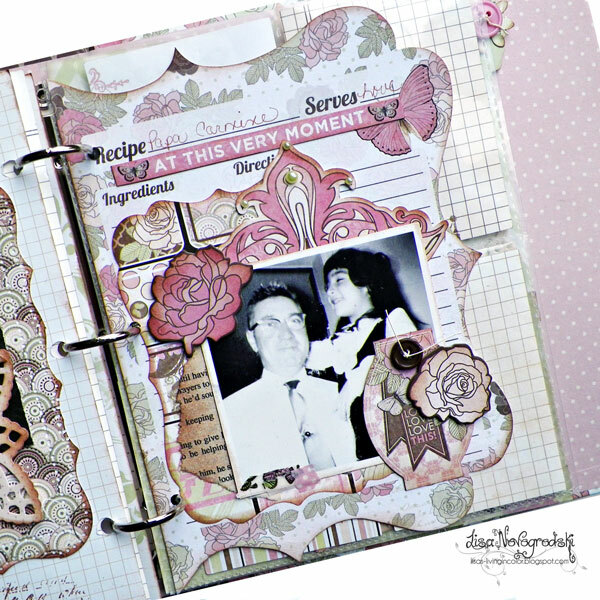 I love, love, love these Misc Me pages! Absolutely gorgeous work, ladies! Wow... these album are very beautiful!